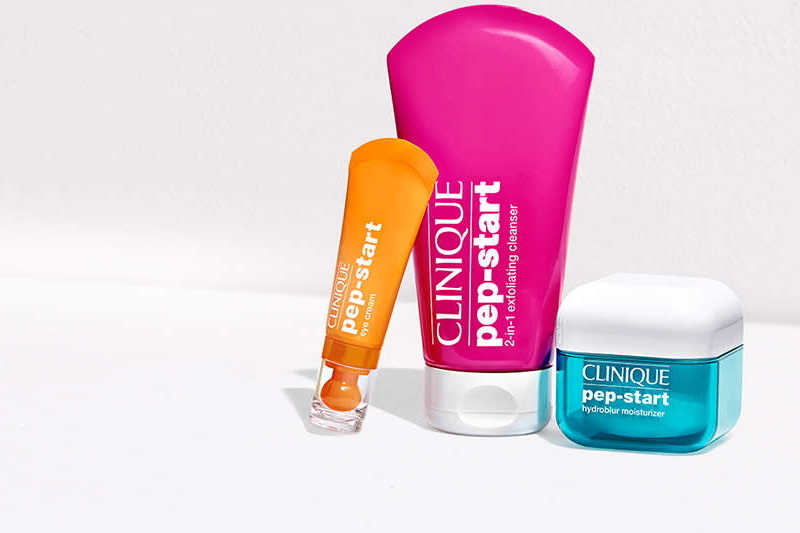 I want to talk about Clinique’s Pep-Start new product range, a collection of colourful products. This range is intended for young women, who have a vibrant, quick, and dynamic way of living and dedicated to energise the skin, even for the busiest of us. The Pep-start range is composed of 4 products: 2-in-1 Exfoliating Cleanser, Eye Cream, Hydroblur Moisturizer and Hydrorush .